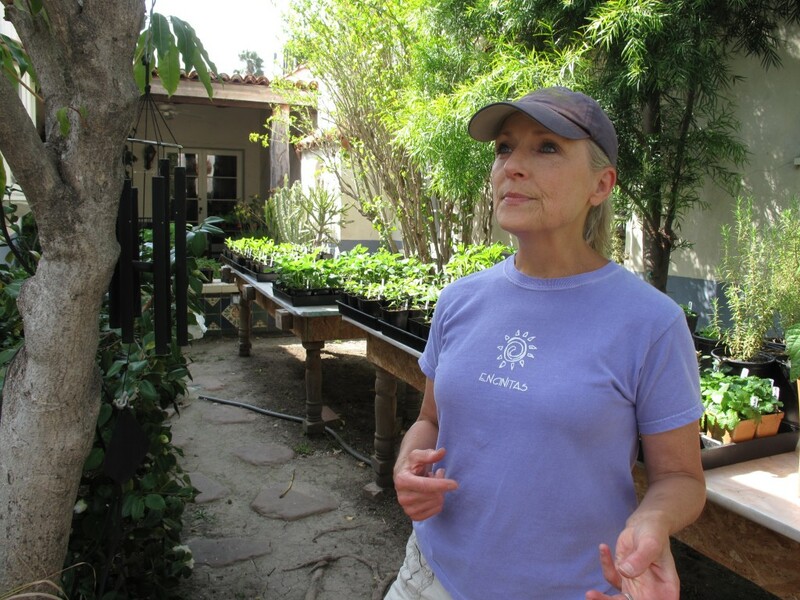 Meet JoAnn Trigo, owner of Two Dogs Nursery, in the Mid-Wilshire area of Los Angeles. 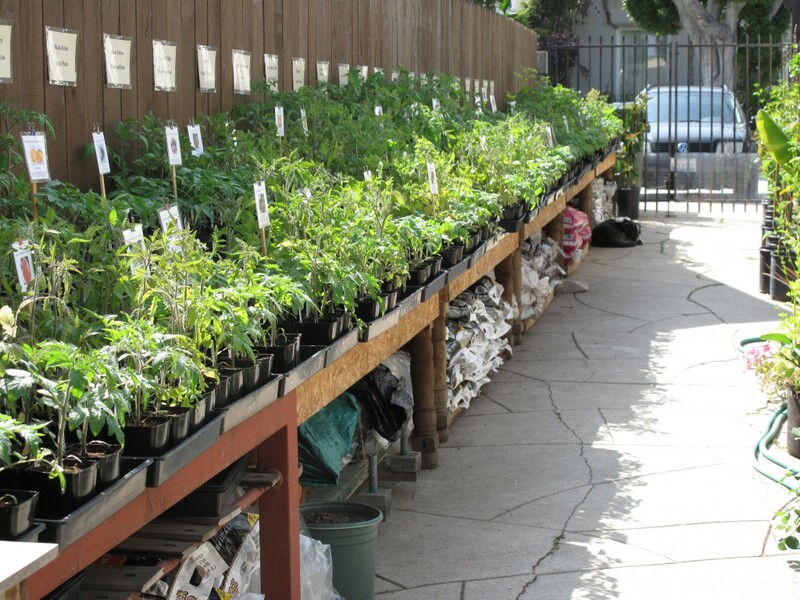 She provides a very very valuable service to gardeners (like me) who want to grow the best, coolest edibles around – but just don’t have the time or patience or wherewithall to do the whole “planting in seed trays then pot those up to tiny pots then pot THOSE up to slightly bigger pots then put them out in the garden” thing. If I can’t sow it directly into my garden, I am probably not going to sow it at all. 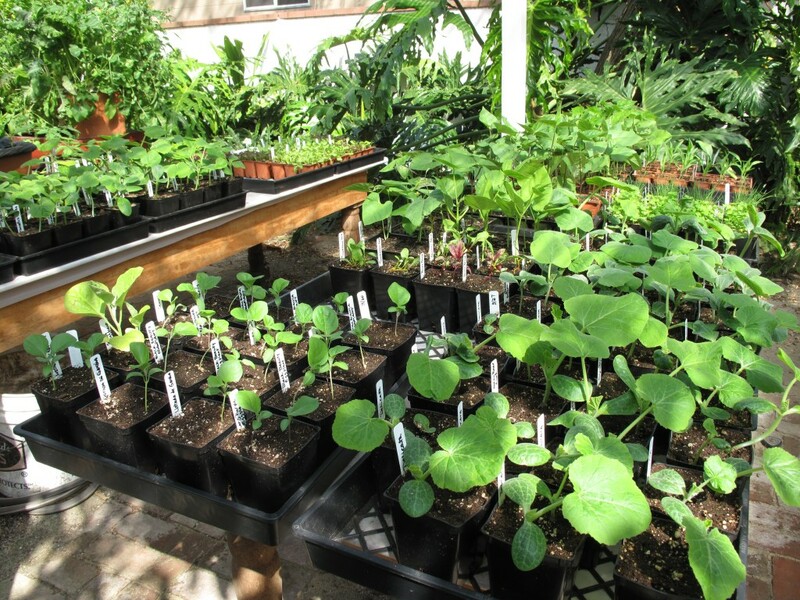 But I don’t want to go buy my starts at any old nursery, either – how can I guarantee that they are organic? JoAnn to the rescue! 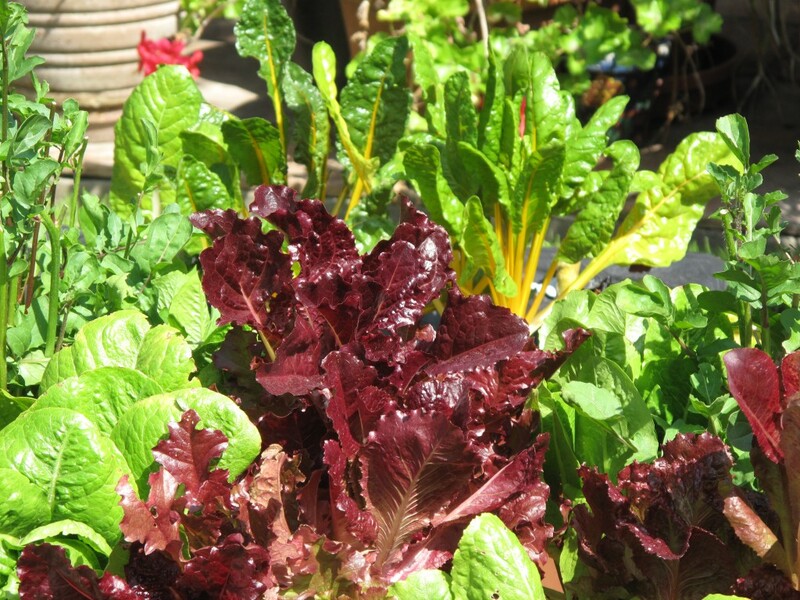 She is grower of 100% certified organic edible starts – and that is all she does. I love a focused objective! 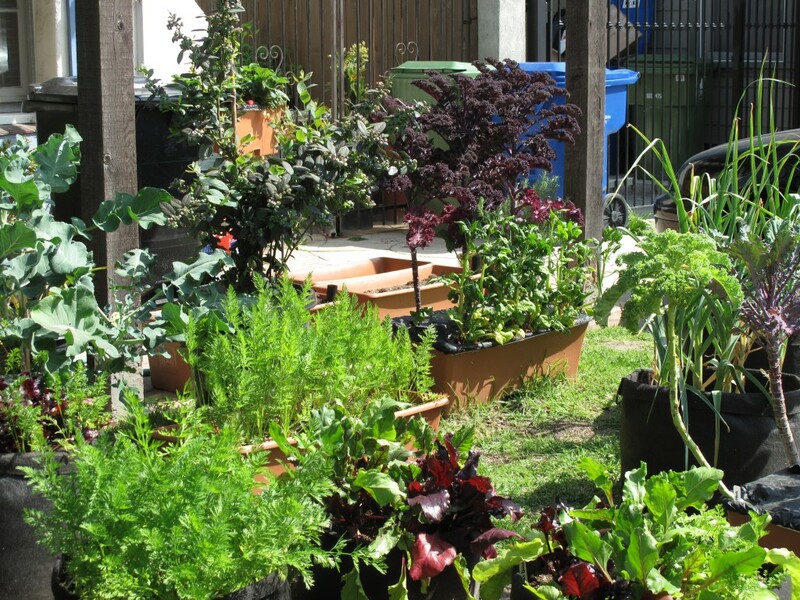 her nursery is run out of her home - check out the edible containers spilling out into the front yard! munch munch munch... how good does this look? 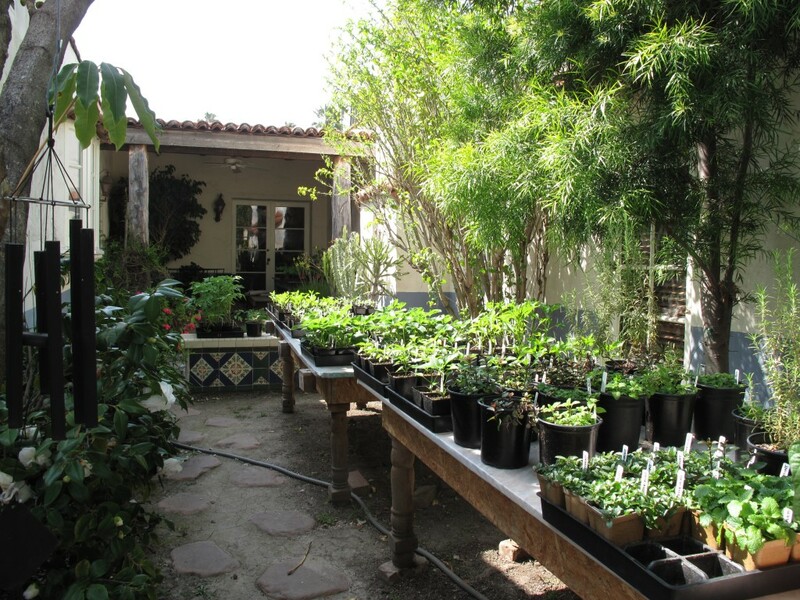 I’m going to confess to a dream – I TOTALLY want to have my own nursery one day. It would be different than JoAnn’s, because I am so mad for succulents and ornamentals as well – AND I want the nursery to convert to a bar at night! But when I saw what she did, how she had an idea and went for it at the right time, and made it work – well, it inspires me. Thank you, JoAnn, for opening up your appointment-only nursery at such short notice to me! And an extra thanks to my friend Nick Kersulis, who found JoAnn and her amazing enterprise while taking a walk in his neighborhood. Way to spy a good thing! So all of you don’t live in Los Angeles, but Two Dogs has a website! And I encourage all of you to visit your local Farmers Markets, because many growers of organic seedlings sell their wares alongside the vegetables and flowers. 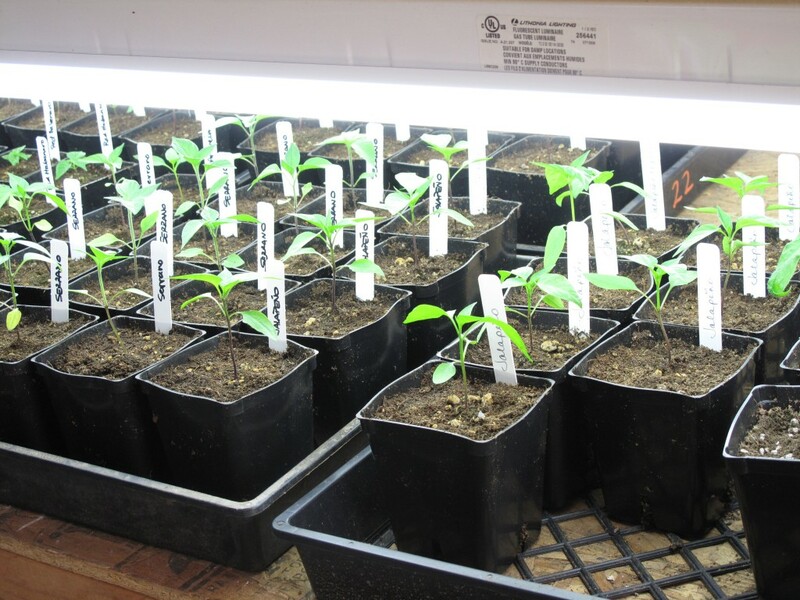 If all else fails, ask questions at your nursery – are these edible starts organic? Is the grower certified? Are they local? It is important to let the powers that be in the nursery industry know that being organic is what we DEMAND – it may not be easy, but it is the only way to go! When you open your nursery/bar can I run the Portland franchise? Hey so when are you coming to Portland anyway? Nursery by day to convert to a bar at night is just way too cool! & dealing with all your landscape clients and everything else ,Whew! Loree, DARLING – You can be the Portland franchisee of Bar Garden!!! We will have SO MUCH FUN setting it up! Nicole – Don’t you think it is an awesome idea? It will be fun, at least! Aw thanks Roberta! You are singing my SONG!! !